I’m a believer that being outside soaking up Vitamin D is a great cure for the everyday blues. And even when I’m not outside, waking up with the sun streaming in the windows of my place makes me a very happy girl. I love a home with lots of natural light. 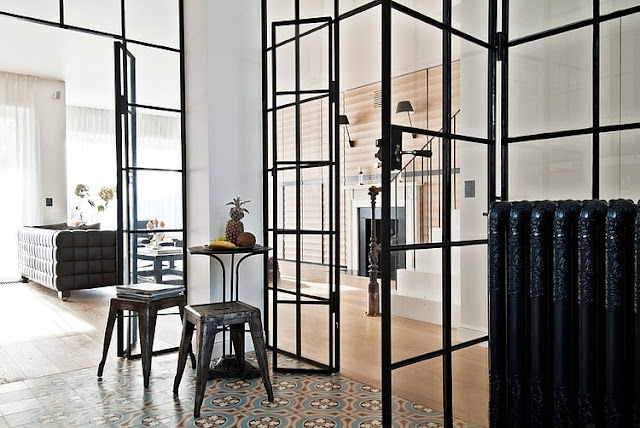 And what better way to take advantage of light coming in all rooms than to have glass walls as room dividers instead of heavy solid walls. I’ve been seeing these pop up a lot on Pinterest lately and I am falling hard for these see-through beauties. 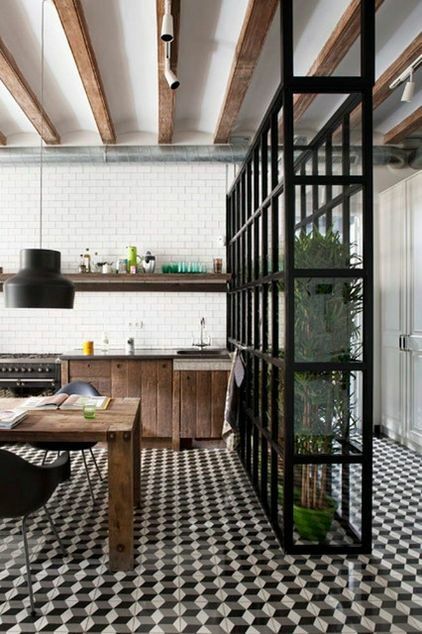 They work so well in smaller places to open up the floor plan while still having some separation of space. I personally really like the black framed ones, but the frame options are endless in different metals and woods. Here are some fabulous examples that I have been coveting. So are you with me? I knew you would be. Glass walls = Awesomesauce, for sure. And that last one with the little greenhouse built-in? Genius. If and when I ever buy a house, knocking down a wall and replacing it with one of these is going to be on the top of my list. (P.S. this list is getting very LONG…). Have a great day!